International Master in Service Engineering (IMSE) programme has been carefully designed at the interface of software service systems and new globe-spanning business processes to prepare students with a background in either business or information technology to become the new generation of service engineers. Europe is definitely the place to be when it comes to finding a high quality joint Master`s programme such as IMSE, in which students from around the globe are prepared to become the next generation of service graduates. Coming to Europe as a student can open up a whole new world, full of unique opportunities, memorable moments and life-changing experiences. The Erasmus Mundus IMSE programme is jointly offered by three European universities with an excellent track record in service engineering. Because Tilburg, Stuttgart and Crete have created this programme in close collaboration with its associated members and industry partners, this will enhance your European experience even further. The IMSE Admission Board accepts applications from graduates of accredited colleges and universities that meet the criteria, as listed below. * The programme is open to students with a Bachelor`s or equivalent undergraduate degree (180 ECTS) either in Management / Economics / Business Administration or in Computer Science / Information System. Students with an engineering degree can be admitted if their previous education includes IT and information systems. * A satisfactory scholastic average, a minimum 3.0 (B) grade-point average in Bachelor`s degree work completed after the first two years. * An official copy of your GMAT test. The average GMAT score of accepted students is 600. Or an official copy of your GRE test score. Our incoming students usually score above the 75% percentile on the quantitative section, above the 50% percentile on the verbal section and above 25% on the AWA section . * Students with a relevant Bachelor degree from one of the partner institutions of the Tilburg School of Economics and Management, University of Stuttgart and University of Crete do not need to submit the GMAT/GRE test score. 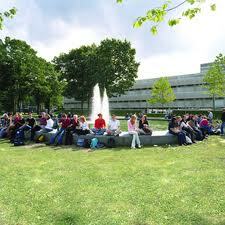 (Note: a GMAT/GRE is however required in case a student wants to qualify for an Erasmus Mundus scholarship). * Send in a complete application package before the application deadline. Category A scholarships (third-country students) amounts to € 48.000 for two years. Third-country nationals, eligible for an Erasmus Mundus scholarship, are citizens from all other countries than: the 27 EU member States (Austria, Belgium, Bulgaria, Denmark, Finland, France, Germany, Greece, Ireland, Italy, Luxembourg, the Nederlands, Portugal, the UK,Sweden,Cyprus, Estonia, Hungary, Latvia, Lithuania, Malta, Poland, Czech Republic, Romania, Slovakia, Slovenia, Spain) and the EEA-EFTA states (Norway, Lichtenstein, Iceland ). A category B scholarship can be awarded to any masters students who do not fulfil the category A criteria defined above. A category B scholarship amounts to € 20.000 for two years. Demikian kami sampaikan tentang International Master in Service Engineering (IMSE), Erasmus Mundus, Europe semoga informasi tentang International Master in Service Engineering (IMSE), Erasmus Mundus, Europe ini bermanfaat.